Come see why La–La Land is Palm beach County’s happiest place for kids! La–La Land Kids Indoor Playground is a 15,000 square foot indoor playground designed specifically to keep your children happy for hours. 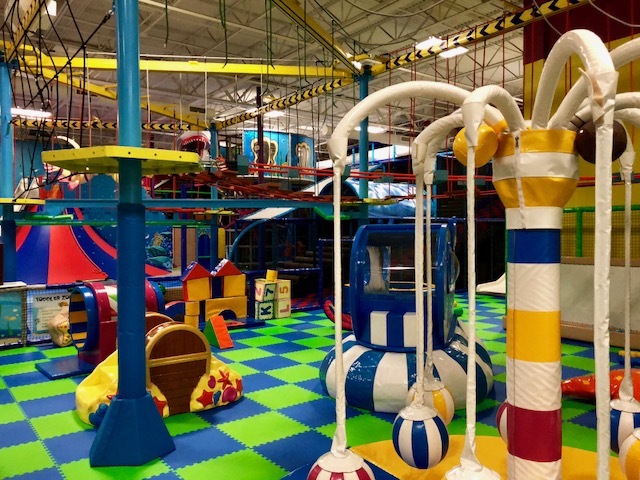 We have a three level indoor play structure (covering over 5,600 square feet) that has a variety of activities for your kids to enjoy such as: a giant 4 person wave slide, foam ball fountain, two foam ball dumping baskets, rainbow bridges, pyramid obstacles, web net bridges, two automatic foam ball loading machines, donut slides, ninja course, rope course, rock climbing wall. And if that wasn’t enough we have soft play rides like a spinning coconut tree. These are super soft safe rides your kids have never seen and will never forget! Let’s get your kid into a different world of climbing, sliding and imagination. Our 15,000 sq.ft. playground will keep your kid happily engaged. Let your kid safely slide on this specially designed donut. See him screaming and enjoying every move from top to bottom of the slide. We have a lot to offer to your toddler. Let him enjoy animal merry-go-round, soft foam slide, ball pit, spring riders, balloon carnival and much more! "Please share your experience with manager at our location. We welcome your feedback. Thank you"